Whole House Water is an industry leader in home water filtration systems. As your water filter experts, our units have helped countless owners’ secure fresh, clean, and healthy drinking water throughout their properties. 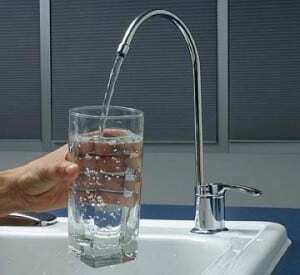 Our innovative and cutting-edge water treatment systems also remove chlorine and other harmful contaminants as well. This is vital for everyday life – since we all need water to cook, clean, and survive on. With easy installations and maintenance, customers are assured the best and cost-affordable systems on the market today. Not only do our systems purify and cleanse water – but also soften h20 to ensure fresh and great tasting water for years to come. For over a decade, we have helped purify drinking water in countless homes and businesses. With state-of-the-art filtration systems, customers can truly save time and money for years to come. This is because our systems are designed to secure clean, great-tasting, and fresh water for up to 6-10 years. Whether for drinking, cooking, or even bathing – you get water that is free of odor, chemicals, chlorine, and other common elements found in public water systems and well. As one of our top sellers, the Rhino systems are long-lasting and designed for optimal performance and delivery. From 6-10 years and 600,000 to 1,000,000 gallons – customers have plenty of options and choices to select from. With water filtration systems, you no longer have to worry about expensive monthly water bottle deliveries. The days of buying and hauling gallons from area supermarkets will be long gone as well. · Long-lasting, fresh, and great tasting water throughout your residential or commercial properties. · No more chlorine and harmful contaminants and chemicals in water to deal with. · Timely installations – maintenance – updates– compliance with all water utility rules and regulations. · Save time and money – no more costly water delivery plans and services. · Safe, clean, and great tasting water for years to come. Whole House Water features a range of affordable filtration systems for homes and commercial venues. Our products are also heralded for helping families save a bundle on water utility costs and home deliveries. For more information on our water filter systems and installations, simply visit our site below and get the results you deserve! Why Buy a Whole House Water Filter? All Rights Reserved. Copyright © 2018 Whole House Water Filter Systems.